That's not a great definition of circumspection, which literally means a tendency to look around, and I used it in relation not to the individual experience, but to the idea of holding up a particular tradition as exemplary specifically in contraposition to another seen as somehow inferior. Add to this the fact that the "inferior" tradition is our own, and my circumspection leads me to feel that we need is integration of ourselves as we aspire to be with ourselves as we are. By the fetishizing of something exotic to ourselves, something that will always be external to out immediate experience, something that we will never find fault with as we find fault with ourselves, we seem to side step this integration, which I think is a mistake. "the officials were very circumspect in their statements"
"she would have to be very circumspect in her dealings with Catherine"
I am not sure how having an interest in the root tradition, which has remained largely inaccessible because the Mazatecan people really have had no reason to open up about it, is "fetishizing" anything. It is just honest curiosity on my part and the desire to learn more. No fetish in it at all. In fact, construction is currently underway on Natalia's property to build a small facility so that she can host veladas for anyone interested in having the experience of being guided by her. This is not "exotic" nor in any way being "fetishized" and I am left wondering from where that impression would arise. Edited by elfstone, 15 April 2019 - 01:48 PM. The mazatec tradition is indeed fascinating, utterly so, and I'm sure is rich in treasure that would be of immense benefit to all. The real value of that treasure, though, is how it transcends culture and can be applied by me, you, them, or anybody else in the here and now. The direction that trying to apply south or central American healing techniques to North American or European subjects leads to has been well observed in the phenomenon of Ayahuasca tourism and Ayahuasca "shamanism" as practiced outside of South America. That's what makes me circumspect. I certainly share your circumspection in it all, but have found that unlike the ayahuasca tourism, the mushroom tradition confines itself to individual healing sessions and is not applicable to a group setting. Also, they are just not open to having sessions with random tourists. Some level of trust and a relationship must be present for the practitioner to even consider doing it. Wasson was lucky in that he asked for a velada with Maria Sabina on the night of June 29/June 30, which is a date on the traditional Mazatec calendar upon which, if anyone asks, the practitioner is obligated to provide a velada, although he had no idea of the practice and it was serendipity that led to his success. There is a community of practitioners who carry on the tradition and they are all in communication with one another, like a professional guild. Although Oliver presents the sessions in his documentary as having occurred over the course of one evening, Natalia limits the sessions to an individual or, at most, two people who are close to one another, and avoids the approach that would lead to "tourismo." Plus, the Mazatecan people are Catholic, which is at the heart of our Western culture, and so the approach is really not so alien as someone who has never had any real contact with them might imagine. If you are not comfortable with Catholic imagery and find it aversive, then it would likely be best to avoid doing a velada with a Mazatecan healer, because the heart of it centers on prayer. It is thus not for everyone, unlike the ayahuasca tourism, which can tout itself as a healing tradition for the masses. Edited by elfstone, 15 April 2019 - 08:09 PM. I apologize if I played a part in stirring this up, it wasn't my intention to cause a dispute. My definition of "circumspect" aligns with yours Elfstone (wary, guarded, cautious), which is why I felt inclined to point it out. The medium is fertile soil for projections and emotional reactions. I personally dislike communicating through purely text-based media, because it requires that I completely change my usual style of eloquation in order to minimize the possibility for misunderstanding, which can never be entirely avoided. Also, I admit that I'm pretty insecure, particularly in relation to these topics, so I may have been anticipating neutral statements as pointed or accusatory. That's why conversation like this is good; it tends to clear the air and allow for progress to be made. For future reference, if any person takes issue with anything I say on this forum, I openly welcome you to question or criticize me directly and with specificity. Elfstone, you obviously care deeply about the topic, so it's entirely understandable that you'd get fired up about it. You clearly have formidable knowledge of the subject, and that reality can maybe feel a little intimidating to others when you come in keyboard'a'blazing. I have no doubt that you're here to help, but you sometimes bring a slightly saturnine presence is all. Thanks again for sharing with us here. I don't use any specifically Catholic icons, but I do have an image of Christ and the Lady of Guadalupe. A few weeks back, we set up an altar at a friend's home, complete with the image of Christ and so on. My friend is in his mid fifties, and of Ukrainian Jewish descent. He said that due to his early religious conditioning, his initial response to the image of Christ was that of mild revulsion. He has a strong affinity to Buddhism, so he placed his own image of the Buddha on the altar as well. By the middle of the velada he told me that his initial revulsion toward the image of Christ had completely dissolved, and he saw him simply as Yeshua, an ancestor and an awakened being, not unlike the Buddha. He then put his hand on my shoulder and spontaneously recited what he later explained was the Jewish priestly blessing (or Aaronic benediction) in Hebrew in its entirety. It was profoundly moving for me, as I could sense his satisfaction in reconnecting positively with his past, and in turn my receiving a sincere blessing from a kind friend and mentor. It was a healthy, spontaneous moment of bonding, something that probably couldn't have occurred in a clinical therapeutic setting. The velada seems very special for this reason. There is no hierarchy, just shared, soulful equanimity. Both of us are fairly experienced with mushrooms, so there was no need for either party to play the role of sitter or guide. (For the record, I see nothing wrong with working with a sitter per se, I just think it serves a different function). Once we had come back to earth, my friend claimed that the phrase "we're all in this together" repeated in his mind throughout the process. During the few times I've shared a velada with others, I've certainly never felt the desire to be the facilitator or guide, I just sit in silence unless something wants to be expressed. I would however be very interested to learn more about the role of the curandera/o and the specific ritual aspects of the velada, not for desire to enact the role/rituals myself, but to understand more clearly their symbolism and meaning. I know that the mushrooms are sometimes divided into pairs, and I believe I recall reading somewhere recently that the pairs represent the masculine/feminine (please correct me if I'm wrong here Elfstone). Also, the coincidence of the date of Wasson's velada is really interesting, thank you for sharing that. Edited by DonShadow, 16 April 2019 - 04:21 AM. It is really very simple. Focus attention on an object that carries personal meaning for you, invoke a higher power through prayer and open the mind to receive the Presence of the Divine. The Divine Presence will come, however that manifests for each us. Then all doubt and confusion dissolves. One knows exactly what to do. There is nothing else to be said. This basic practice transcends all forms, all cultures, all times. Edited by elfstone, 16 April 2019 - 08:43 PM. 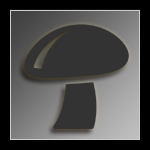 That being said, my interest remains high regarding the traditional lore around the effects of the mushrooms. One observation made by an elder curandera is that when people see ants on the altar that it is envy coming into awareness. Cool! During the winter months I kept my windows shut tight during veladas, so I didn't see any ants. Now that things are warming up I'll crack one open and let them come and go as they please.